Approximately 260 travel and reservations agents in Bogota, Bucaramanga and Medellin will receive training; Colombia continues to be the top country of origin for tourists from South America to this region of the Mexican Pacific. The Colombia Tour begins next Monday, July 11 through Friday, July 15, 2016 as part of the successful Joint Promotional Campaign carried out by the Riviera Nayarit and Puerto Vallarta. “By having a constant brand presence in South America we have obtained very good results—according to recent statistics, Colombia is the top country of origin in the southern cone. It has more than met our expectations and has shown the biggest increase in the number of visitors to both destinations,” said Marc Murphy, Managing Director of the Riviera Nayarit Convention and Visitors Bureau. 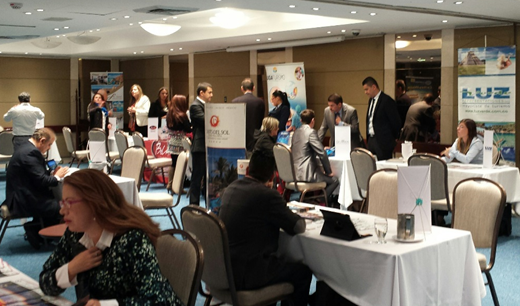 The team will host a Breakfast Seminar in Bogota, where there are 100 travel agents already confirmed; they will hold a similar breakfast in Bucaramanga for 60 agents and a third event in Medellin for another 80 agents. There will be an additional training session for 20 call center agents at Luz Verde, one of the top Colombian wholesalers in Medellin. This tour will include the presence of the Bogota office of the Mexico Tourism Board, as well as the presence of tour operators that are within the promotional pool of this beautiful country, plus 12 hotel chains from both destinations. The participation of Aeromexico Airlines is vital because it connects both Bogota and Medellin with the Riviera Nayarit and Puerto Vallarta, thanks to a direct flight to and a stopover in Mexico City. This is another example of the tireless efforts of the Riviera Nayarit CVB and the Puerto Vallarta Tourism Trust to capture the marketplaces beyond North America.